Modern reliability w Old World charm, Excellent fr cosplay, ren faire attire and just plain fun! 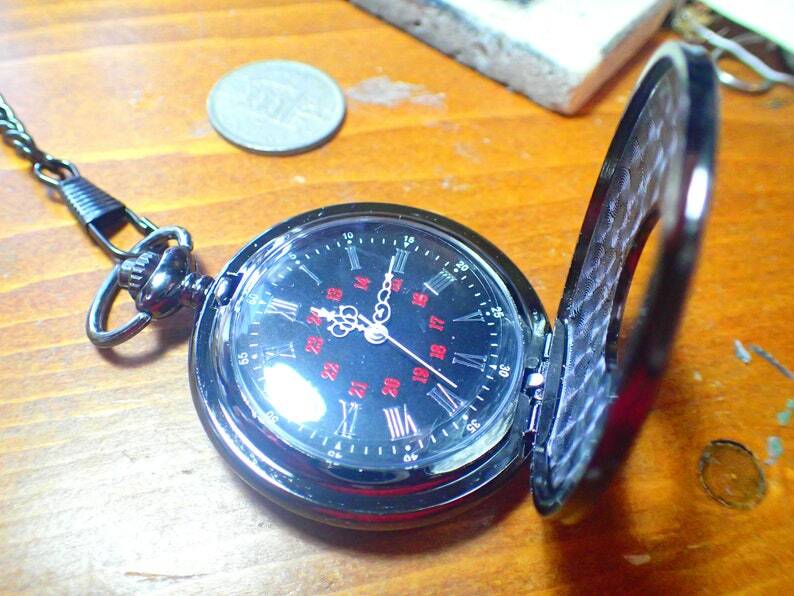 Working pocket watch can be used as is or used for parts. Inside sports chrome roman numerals and red numbers against a jet black background!